WestJet on April 30 officially launched its route between Halifax and London, UK. The departure of flight WS24 marked the start of daily, nonstop service between Halifax Stanfield International Airport and London's Gatwick Airport until October 26, 2018. The flight also marked the first time the airline has used its newest aircraft, the Boeing 737-8 MAX, for transatlantic travel. On May 31, WestJet will launch its inaugural flight between Halifax and Paris on its Boeing 737-8 MAX aircraft. The flight will mark the first time WestJet will land on the European mainland. 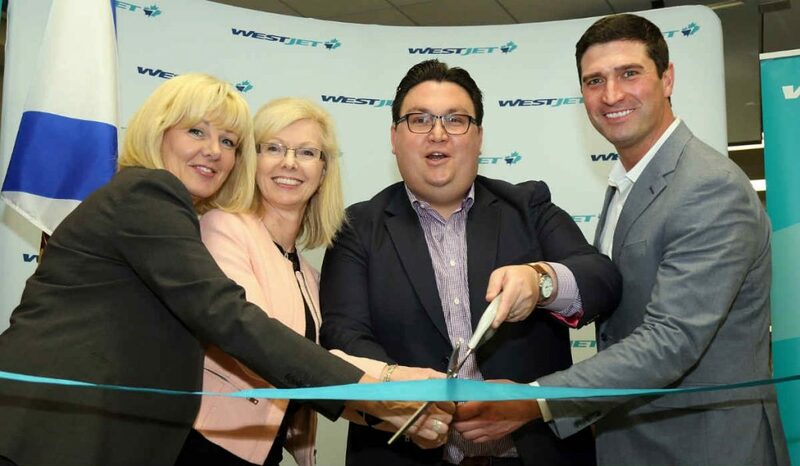 WestJet serves 18 cities from the Halifax International Airport, up from 12 in 2013, including 12 Canadian, two trans-border, one international and this summer will serve Glasgow, London and Paris. At peak summer schedule, the airline will operate around 25 flights per day or more than 170 flights per week. Since 2012, the airline’s traffic from Halifax has grown by more than 160 per cent. In October 2017, WestJet unveiled its first Boeing 737 MAX 8 aircraft, one of 50 scheduled for delivery through 2027. The Boeing 737 MAX is powered by CFM International’s LEAP-1B engines, designed for fuel efficiency and noise reduction. Overall, the aircraft is 14 per cent more fuel-efficient than current 737 Next-Generations, according to Boeing, and have a reduced operational noise footprint of up to 40 per cent through quiet-engine technology. Beyond the Boeing 737-8 MAX, WestJet’s current fleet consists of 117 Boeing Next-Generation 737s, four Boeing 767s and 42 Bombardier Q400 NextGen aircraft. WestJet has also entered into a definitive purchase agreement for 10 Boeing 787-9 Dreamliners with the first aircraft expected to be delivered in January 2019.